Frankfurt, 11th June 2018 – Come to the ACHEMA 2018 in Frankfurt from June 11th to 15th and visit the Röchling booth: Hall 8.0/B37. Highlight this year is the entirely new tank construction sheet Polystone® P CubX® especially developed for the construction of rectangular tanks. 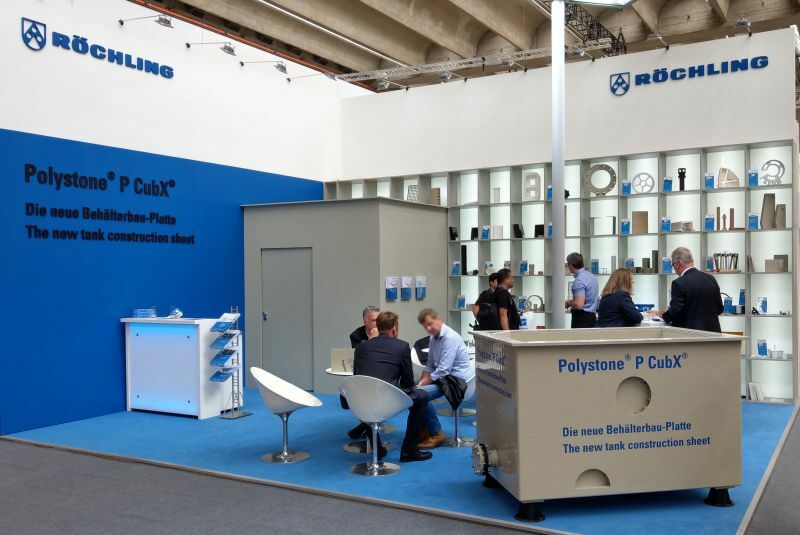 Polystone® P CubX® is a cross-ribbed twin-wall sheet with a unique internal cube structure. It combines outstanding rigidity with low weight. Rectangular tanks made in this way need significantly fewer steel reinforcements, if any, depending on the size of the tank. The time-savings for tank builders are substantial. Rectangular tanks can be constructed considerably more quickly and easily. Take the chance and talk to our experts about the benefits and applications of Polystone® P CubX®.